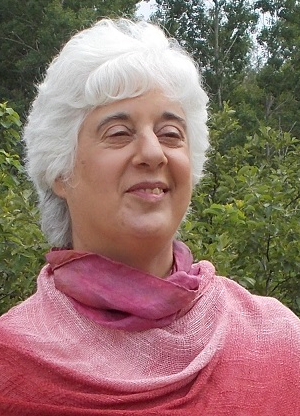 Barbara Baig is a writer who has dedicated much of her life to teaching writing. She loves to write, and she loves to pass on what she has learned to others. She has nearly thirty years of teaching experience—including two decades of leading writing workshops at The Divinity School at Harvard University. She now teaches in the MFA Program in Creative Writing at Lesley University, online here at www.wherewriterslearn.com, and privately. Barbara has lots of writing experience, having produced stories, articles, radio scripts for the NPR award-winning show Sound & Spirit, award-winning poems and songs, and a wide variety of promotional materials, including content for websites. She is the author of How To Be a Writer: building your creative skills through practice and play. Barbara considers herself a "maverick educator," who developed her own skills-based approach to teaching writing after becoming frustrated with the way writing is typically taught within the academic world. She says, "I am fascinated by how people learn, so I have spent a lot of time and energy trying to get inside the minds of people who want or have to write so I can teach them the skills they need. I focus on what it is that skilled writers actually do, rather than on the text they produce, and then I try to find ways to show beginning and confused writers how to learn those skills in the way humans most naturally learn: through practice." Barbara still spends most of her time writing, reading, and thinking about new ways to teach. For entertainment, Barbara follows the Red Sox. Barbara is available for private coaching via e-mail and phone. For details, write her at: barbara (at) wherewriterslearn (dot) com. Barbara is a member of The Author's Guild.